We give utmost importance to the quality of the products and thus we produce the entire range in accordance to the quality standards. Designed and developed using the premium raw material and modern work methods; we guarantee high quality standards and longevity of our products. Also, we make sure that the raw material is sourced from the trusted places. 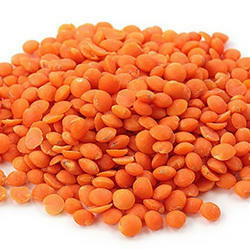 We offer red split and whole lentils with and without husk ethopian , turkish, canada origin 0+ 0 sortexed quality,size-2-3mm as per buyers requirement. Interested importers let us know your requirement and we are sure to fulfill your requirements. Fresh Citrus Fruits, Fresh Mandarin Oranges, Valencia Oranges & Lemons High Quality.